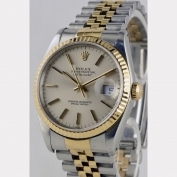 Welcome to our page of antique watches. Since 1987 we manage our retail store in the Bleibtreustr. 40 / entrance Mommsenstraße, 10623 Berlin - Charlottenburg close to the Kurfürstendamm. You can see here a small selection from our constantly changing wristwatch offer. 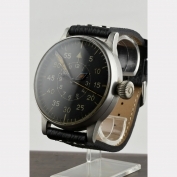 If you are looking for a specific watch, we welcome your inquiry. Even if you want more information or photographs of the watches, please send us an email or call us. All watches are "second hand", that means, not of current production and with some apparent patina. Each has been professionally reconditioned and we will give a one year warranty on the clockwork performance. Have fun watching our treasures!